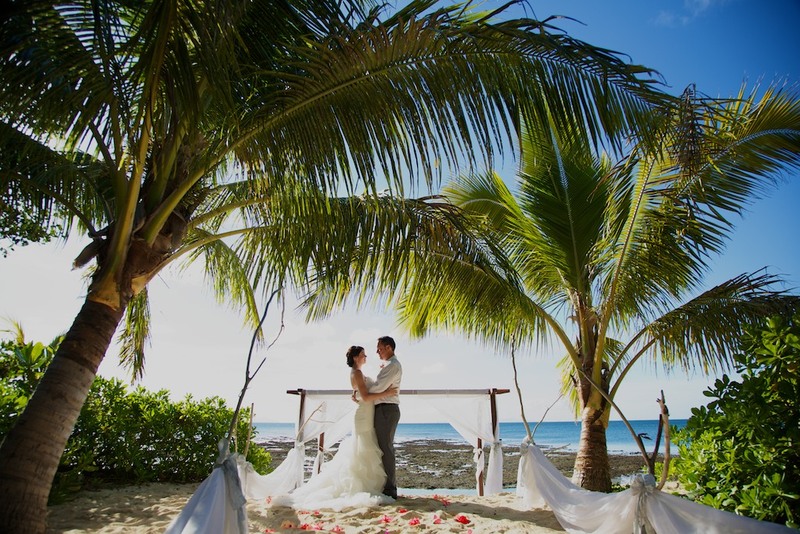 Vomo Island with it’s soft sandy beaches and clear blue water is a dream destination and Jenna and Chris could not have chosen a more magical location for their wedding. Here Jenna shares with us some details on her big day and offers some advice for other brides to be. 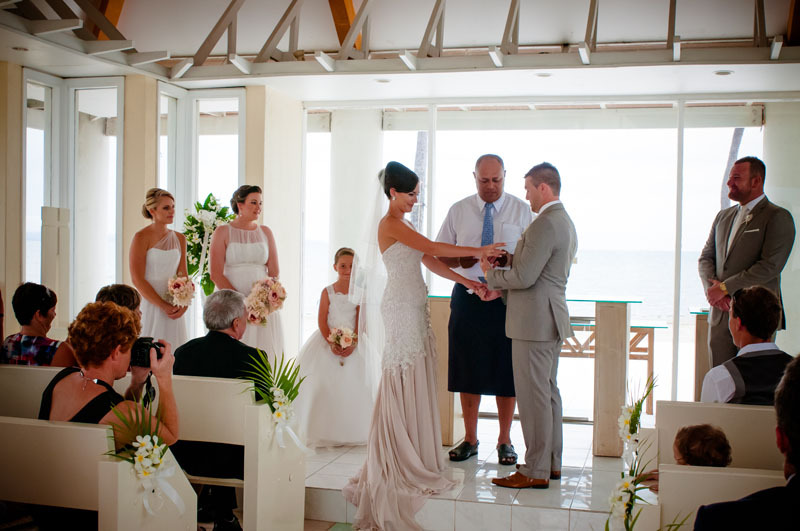 Why did you choose to have your wedding in Fiji? 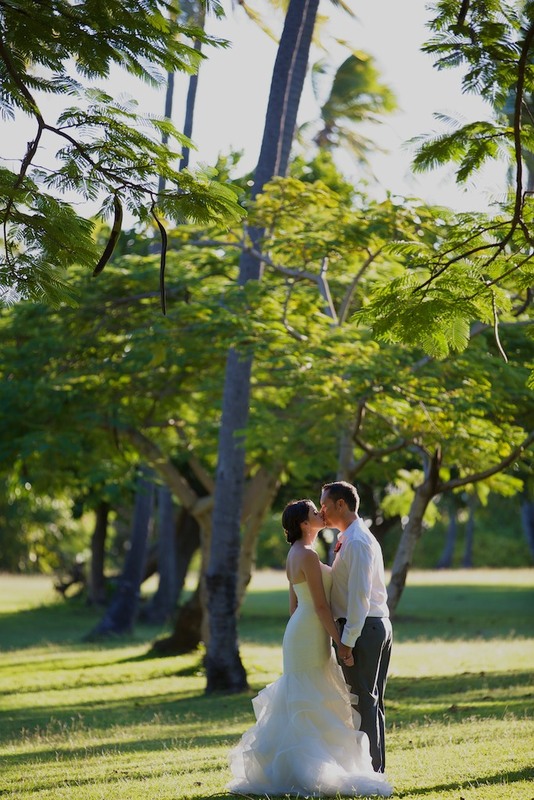 We wanted a beach destination wedding and both of us wanted to go to Fiji as we had never been. 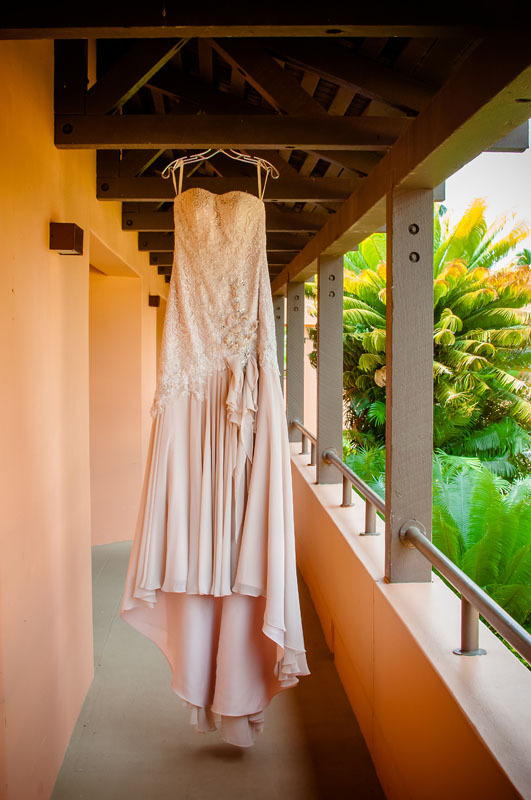 My dress was a strapless white dress designed by Pronovias. A white shirt by Calvin Klein and grey trousers by Trent Nathan. We stayed at Vomo for an extra 5 days. Is there anything you would have changed about your wedding day? 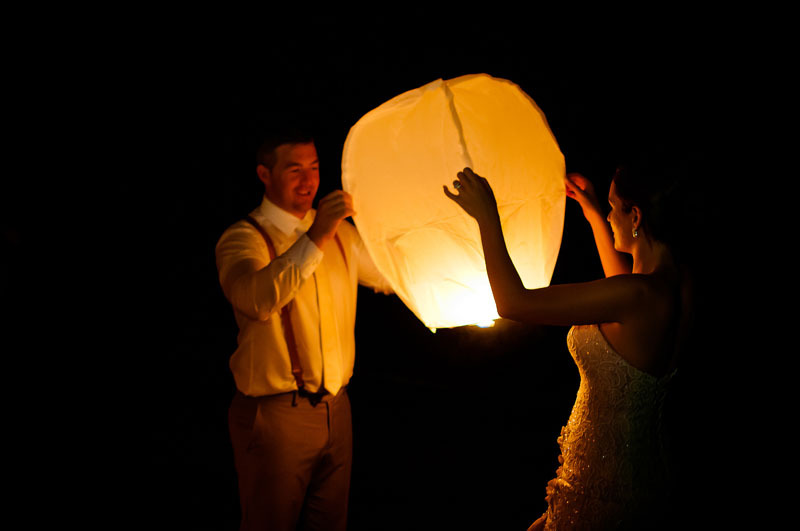 Why did you choose to hire a wedding planner? To relieve the stress of coordinating all of the overseas components required for the ceremony. Would you recommend hiring a wedding planner? What did you think of all the wedding suppliers that were involved in your wedding? They were fantastic. Everything was so organised and stress free. 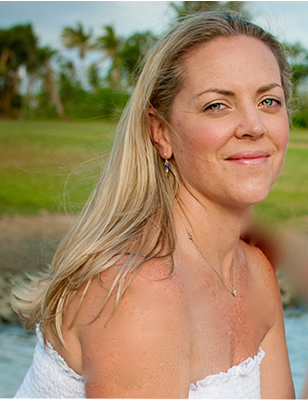 What advice would you give a couple organising a wedding in Fiji? 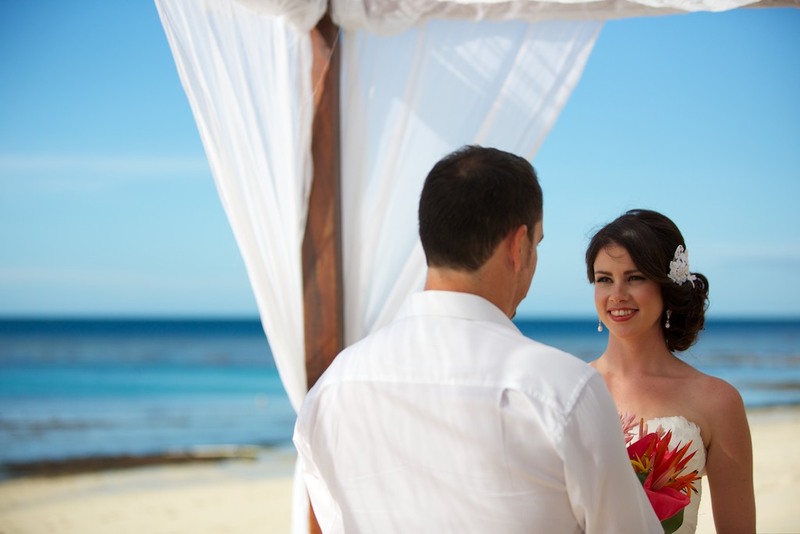 Go to one of the island resorts instead of getting married on the mainland. Jenna sent us this message during her stay at Vomo …. A big thank you to Bruce from Zoomfiji Photography (http://zoomfiji.com) for the beautiful photos. Great job as always and we love working with you! When Phoebe and Josh were searching for a location for their wedding, they stumbled across an image of a beautiful chapel that sat in the middle of what looked like pure paradise. Phoebe jokingly said ‘wherever that chapel is, we HAVE to get married there!’. 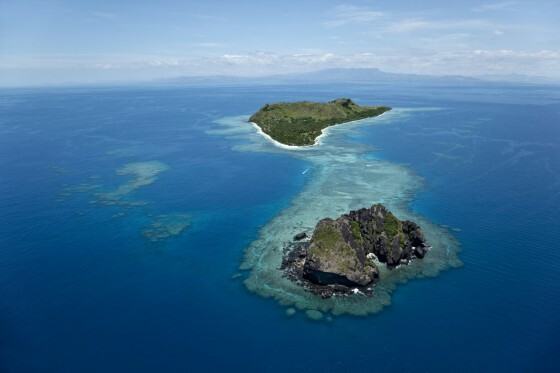 After a little research they discovered it was in Fiji and that was that. They had found the perfect location for their ceremony! 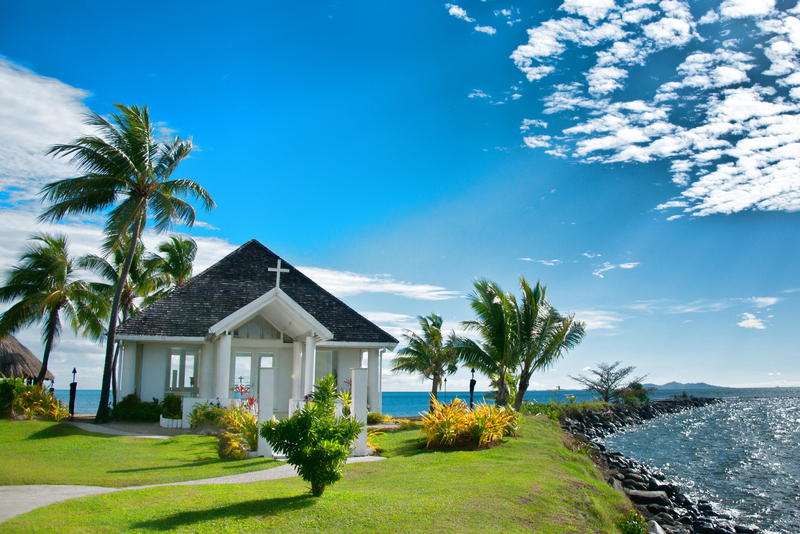 The location was the beautiful Sheraton Fiji, situated on the tropical oasis of Denarau Island. 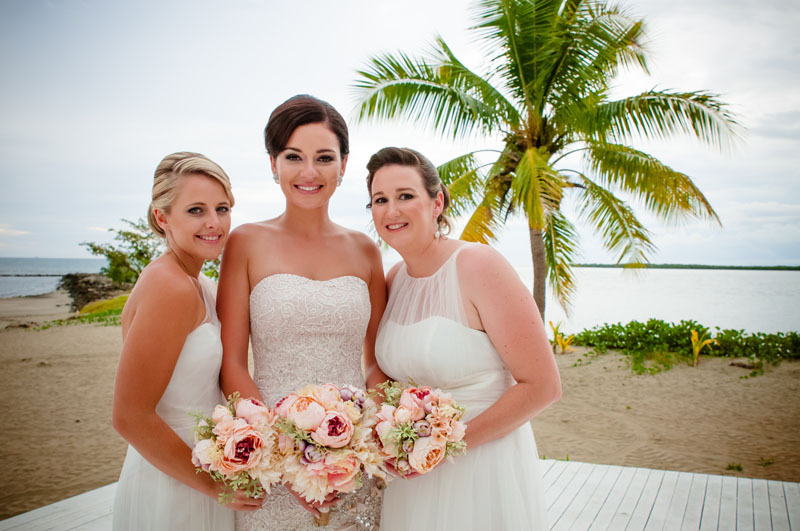 Because neither Phoebe or Josh had been to Fiji before, let alone planned a wedding, they decided to hire Chelsea Jayne Weddings to help make the experience stress free. 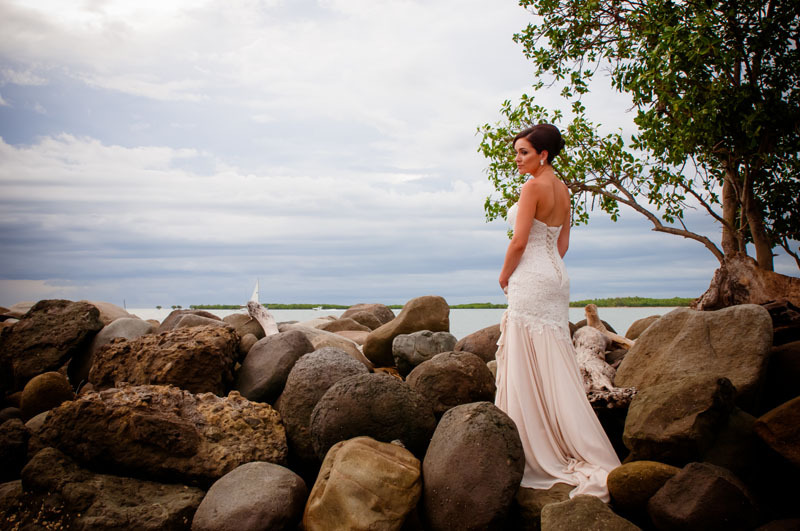 Phoebe looked absolutely stunning on her wedding day in her champagne coloured gown ‘Aphrodesia’ by Airs & Graces. 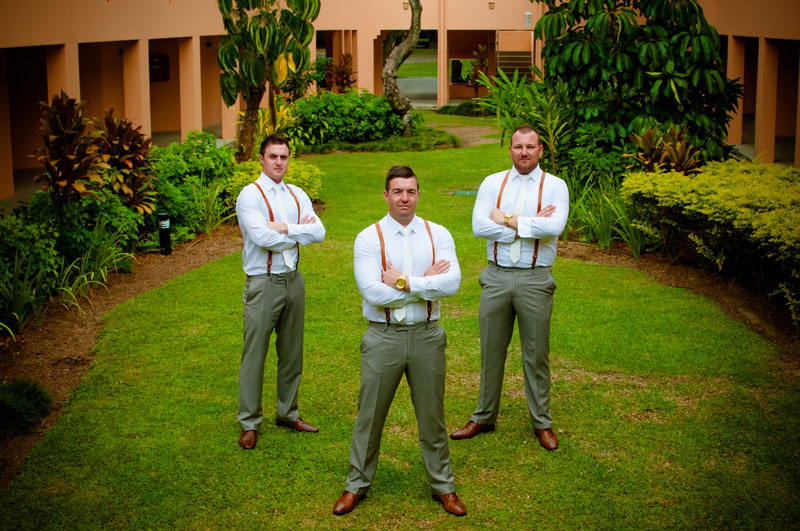 Josh and his groomsmen looked the part in suits by Milano, ties and shirts by Hardy Amies London and shoes by Julius Marlow. 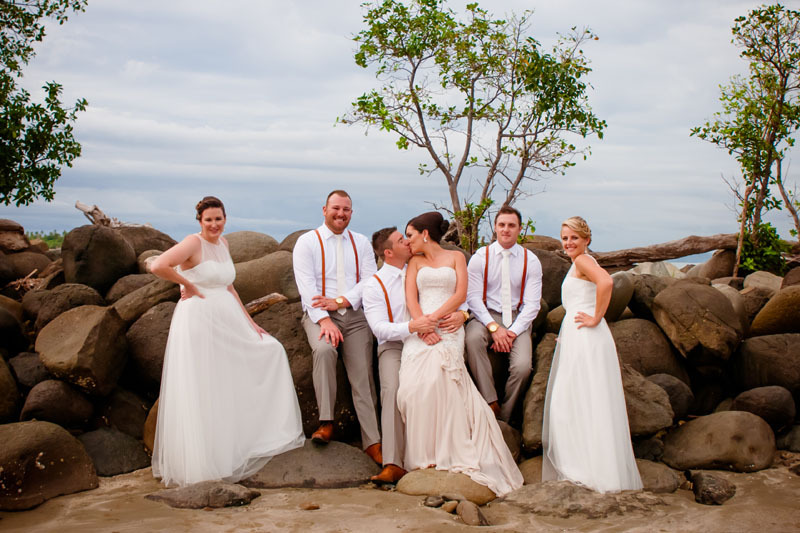 The bridesmaids completed this picture perfect bridal party in two different styles of dresses both in ivory from the ‘Modern Vintage Bridesmaids’ Collection by Alfred Angelo. Looking back on her wedding day Phoebe couldn’t choose just one highlight from the day. She said two aspects of the day that really stood out for her were the entertainment (Polynesian/Fire Dancing) and the food (the Deluxe Buffet) which she said was seriously the best. She said there was SO much food and she had guests who said they would have come all that way for the food alone! Instead of a traditional hens and bucks party, Phoebe and Josh were joined by their guests for a day cruise around the islands with a pit stop at Musket Cove. There they enjoyed a delicious lunch, some snorkelling and some fun and games on the island. Endless amounts of drinks and snacks were also included on the cruise and it sounded like such a terrific day. Both Phoebe and Josh highly recommend this fun day trip. Phoebe and Josh spent 10 nights at the Sheraton resort. They said it was magical. They were impressed by the lovely staff and the delicious food. They said the best part of it was the Starwood Privilege Card which covered the villas and the Westin restaurants also. 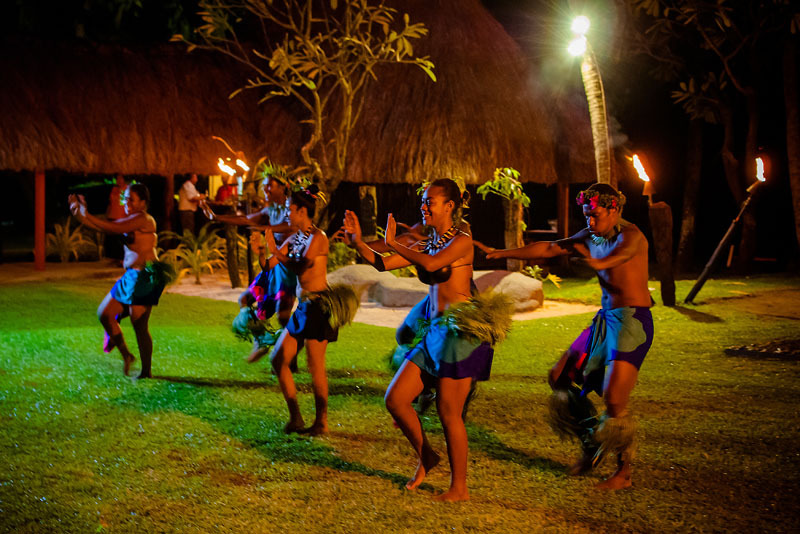 To learn more about the Starwood Membership Programme visit http://www.starprivilege-pacific.com. 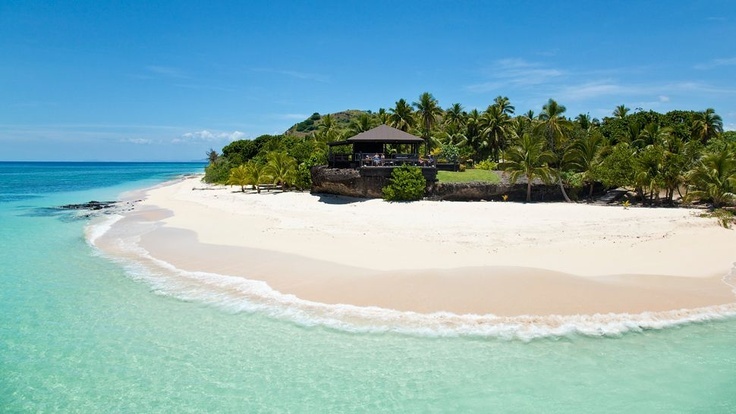 As for a honeymoon….Josh says ‘No official “honeymoon” on our own yet, we might have to go back to Fiji!. 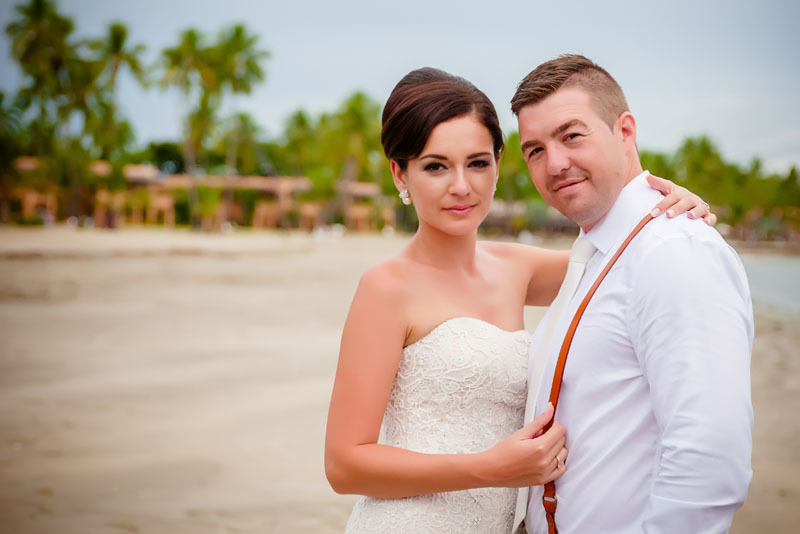 We asked Phoebe and Josh what advice they would give a couple organising a wedding in Fiji and they both agreed that you should definitely hire a wedding planner, relax, do not stress and be patient…..you are on Fiji time! This advice worked perfectly for them when they woke up on their wedding day to rainy, grey skies. 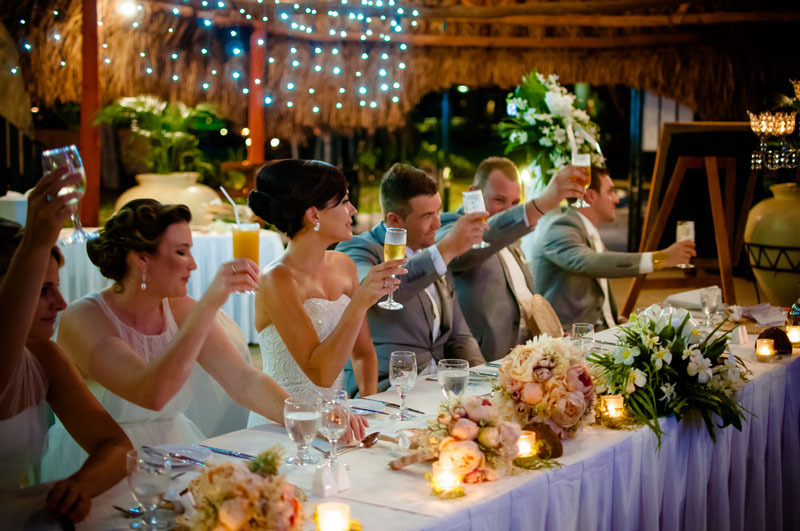 Their stress free attitude got them through a location change for their reception. As Phoebe said herself ‘everything will be perfect!’. Also a big thank you to Sabrina Horn Photography (http://sabrina-horn.com) for the amazing photos.